When a client becomes delinquent on its bill, but there’s still some hope the situation will be rectified short of writing off the account and placing it for collection, there are several tools available to a creditor to pressure the client to pay. As a collections attorney, one of the most common provisions I see on invoices and in applications is an increase in the interest rate charged if payment is late. For example: “In the event this invoice is not timely paid, interest shall accrue on the balance at the rate of fifteen percent (15%) per annum.” While increasing the interest when a client pays late can be an effective tool, it presents some interesting and unexpected pitfalls. It Says So Right Here. The California Constitution, Article 15, Section 1, gives the default contractual interest rate of seven percent per annum. A series of statutes, starting with California Civil Code Section 1916.12-1, flesh out the basics of interest computation and usury (charging a higher interest rate than allowed by law) in California. The general rule is that the default contractual rate is seven percent per annum. Any higher rate must be “clearly” stated in writing, and the highest permissible rate, even if stated in writing, is twelve percent per annum. Any contractual provision requiring a higher interest rate is null, void, and cannot be enforced. But let’s say a customer has fallen behind, and comes to you wanting to repay what’s owed and mend the relationship for the future. You threaten legal action, and so the customer offers to agree, in writing, to repay the overdue amount with twenty percent interest accruing during the repayment period. You agree, a new contract is signed, and the customer ultimately pays the full balance, including the twenty-percent interest. Considering this a huge collections “win”, you are surprised when the customer sues you a few months later for violating California’s usury laws. You are even more surprised when your attorney advises you to prepare to get out your checkbook. Pursuant to Civil Code Section 1916.12-3, the debtor has one year in which to sue you to recover the improper interest it actually paid. Worse, the debtor is able to recover three times the improper interest as a penalty. Ignorance of the proper interest rate is not a defense. Even if you thought you were charging a legal rate, you remain liable for treble damages. If it can be proven that you knowingly charged the debtor an improperly high rate, you are guilty of a felony under Civil Code 1916.12-3(b). Another provision I frequently encounter is a late fee calculated as a percentage of the unpaid invoice. Language such as: “If this invoice is not timely paid, a late fee of 15% shall be added to the balance owed,” is common. However, under California law, contract damages must only compensate the injured party. Contract damages should never seek to punish the breaching party. Therefore, California courts have reasoned, any contractual attempt at a penalty or spur is unenforceable. See, for example, the Supreme Court’s decision: Muldoon v. Lynch (1885), 66 Cal. 536, 539. While a provision allowing for “collection costs” is enforceable, the creditor will have to prove actual damages, such as employee hours spent drafting letters and making phone calls, in order to collect. It cannot charge a “collection cost” calculated as a flat fee of the amount owed. While there are no statutory damages as with usury, attempting to collect such a fee, knowing it is not collectible under California law, could be seen as an attempt to collect an invalid debt, which could be a violation of the Fair Debt Collection Practices Act. 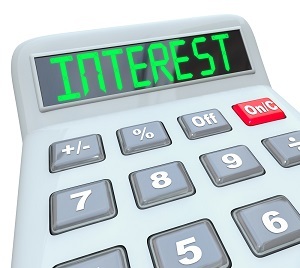 An inventive and aggressive debtor’s attorney could also argue that the percentage fee is actually an interest charge, and therefore violates California usury law as discussed above. Squeezing a Stone. Of course, the best and surest way to both pressure delinquent customers and to protect against future delinquencies is to refuse credit. If you will not supply the customer, it cannot continue serving its own customers, or at least will find it difficult and/or expensive to do so. The pressure to pay you will quickly become intense. While there are no legal dangers here, a crucial practical one applies. As a collections attorney, nothing is more frustrating than having solid supporting documentation, obtaining a judgment for the full amount with interest, costs, and fees, but then finding that the debtor is out of business and my judgment is worthless paper. Pushing the debtor to insolvency, while potentially gratifying after a trying relationship, is not an effective collections strategy. In California, you will be limited to charging seven percent per annum unless it is stated clearly in writing that you are charging more, even if the debtor is late or defaulted. Make sure you do not charge or collect an interest rate higher than twelve percent per annum in order to avoid usury violations. While including a provision requiring the debtor to pay for collection costs, remember these generally cannot be reduced to a simple percentage of the invoice, and must be documented. Many of these potential difficulties for the creditor can be avoided, and many advantages obtained, with careful planning and a well-thought-out credit application, which will be the subject of a later article.